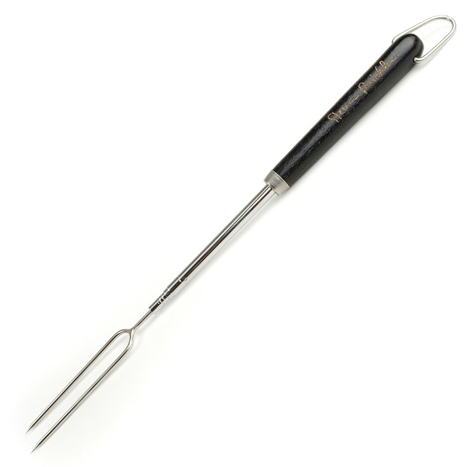 Sure, a fork with a long handle is useful at the grill for keeping hands away from the heat, but it also has a hidden, much more insidious use. The Steven Raichlen Telescoping Fork extends from 17.5-inches to 28-inches and is certainly designed for grill use, but when put into action, it offers users the distinct ability to grab at whatever is on the nearest plate. Your steak a bit over done? Extend-o-fork! Got stuck with macaroni salad when you really wanted potato salad? Extend-o-fork! Too many veggies on the plate? Extend-o-fork the other way! Now, everything is within reach. Better get to practicing those diversionary techniques, because at $12.95, the fork pays for itself after only one use.